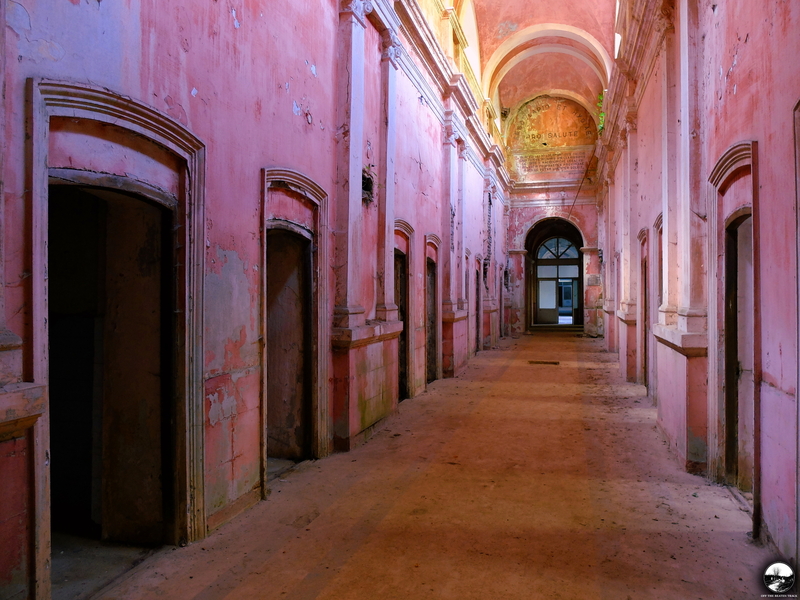 No matter that it’s impossible to reach the most impressive place in the building not passing through a few dozen metres long hallways with lots of obscure baths, I would like to skip this boring part start from something that definitely takes a breath away there. 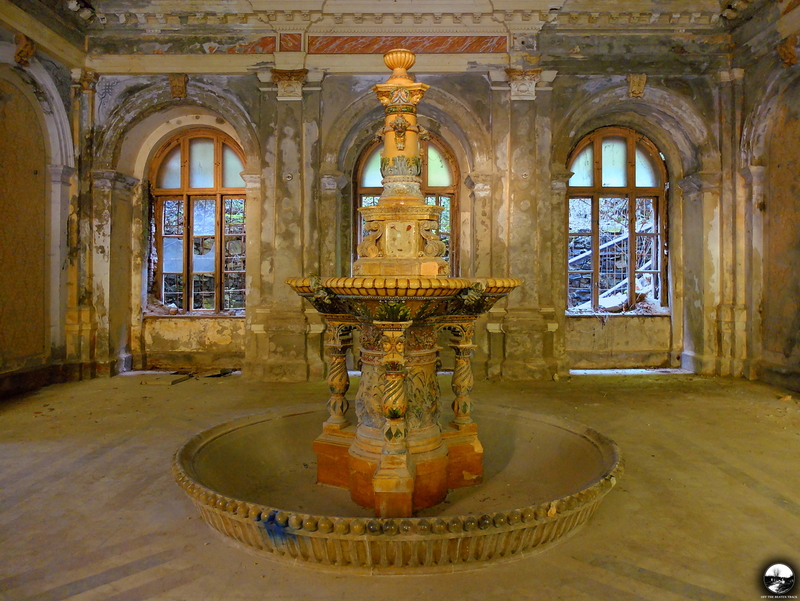 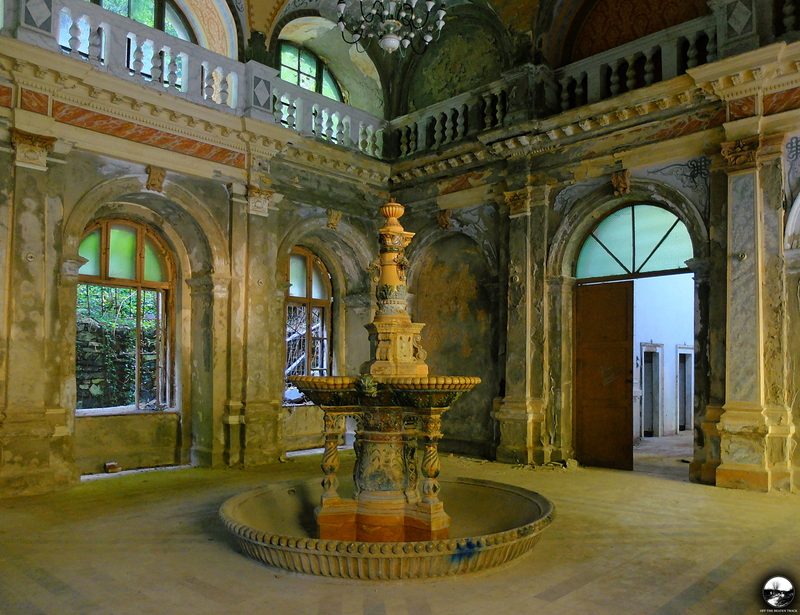 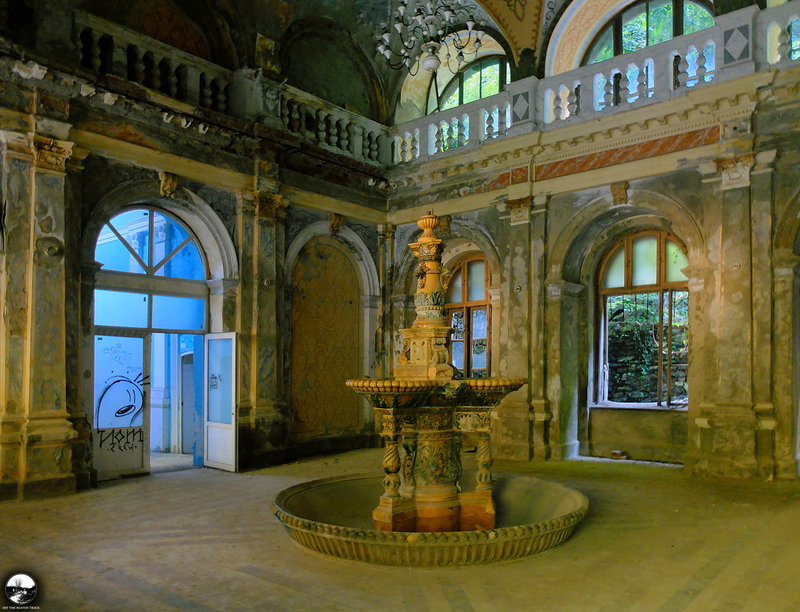 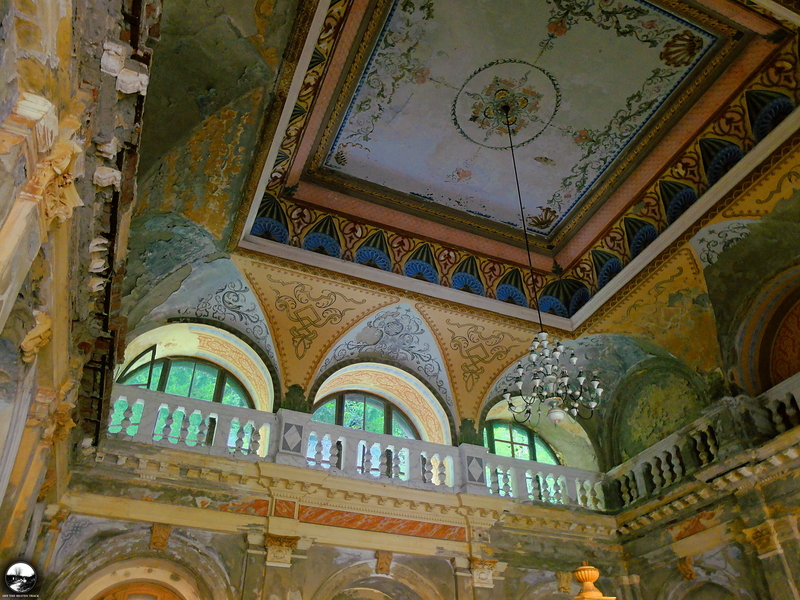 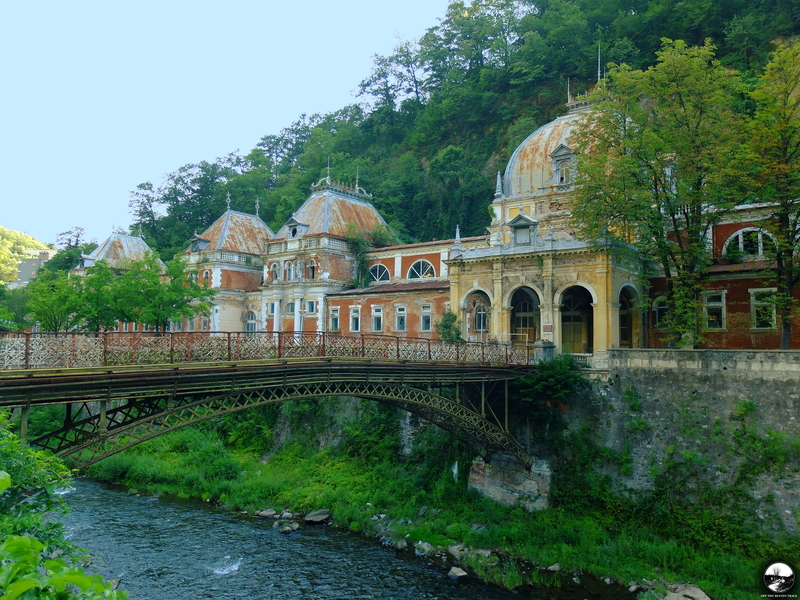 The mentioned place is a room with an old fountain—probably the most elegant detail in the whole complex of baths. 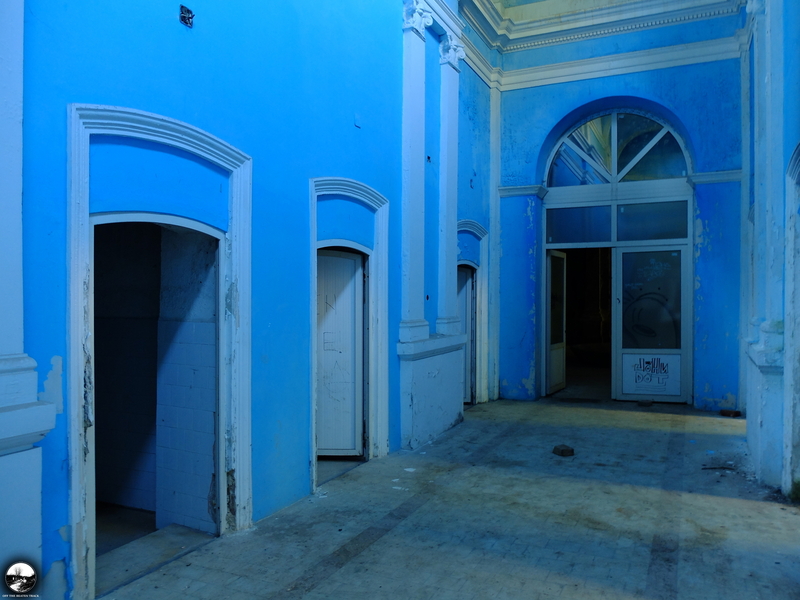 The rest of the building consists of a few more spaces. 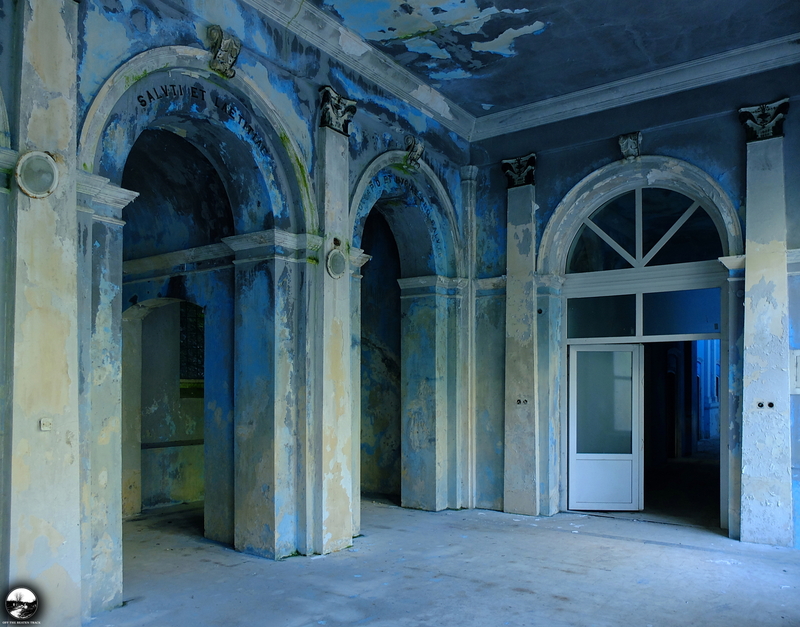 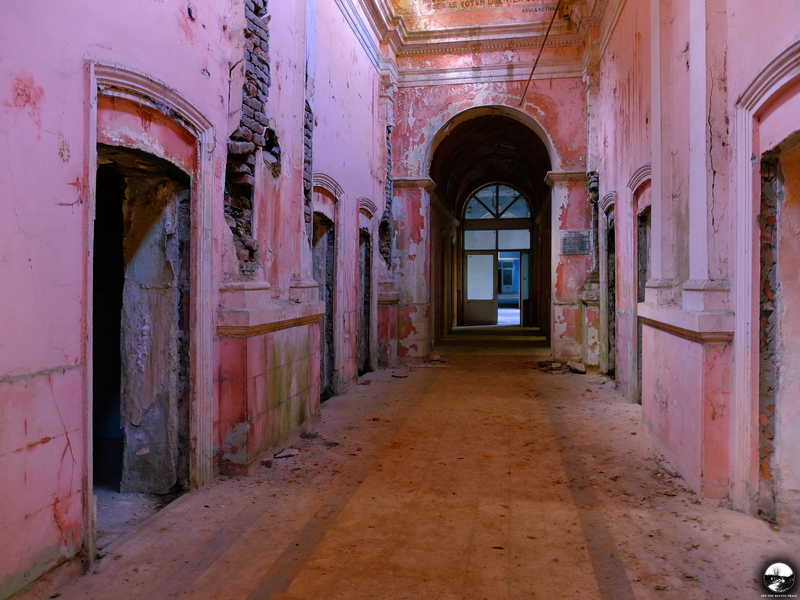 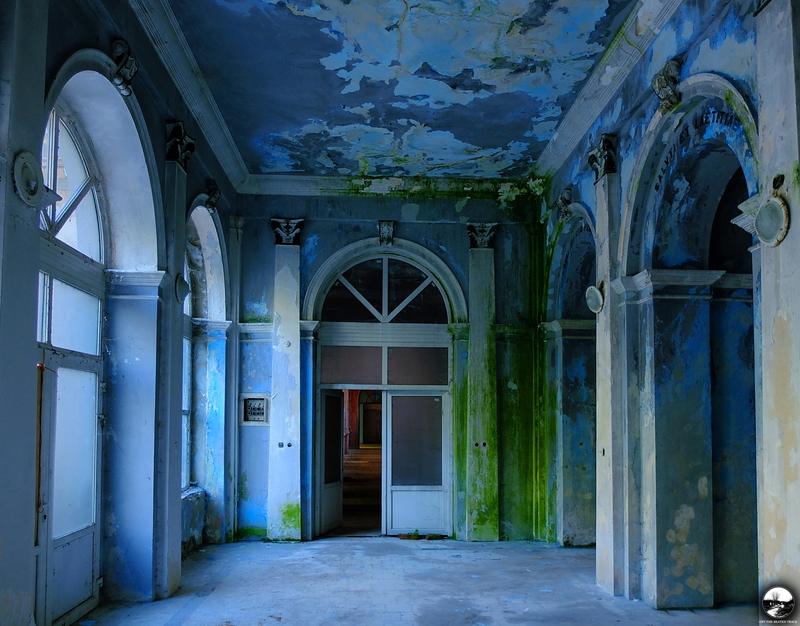 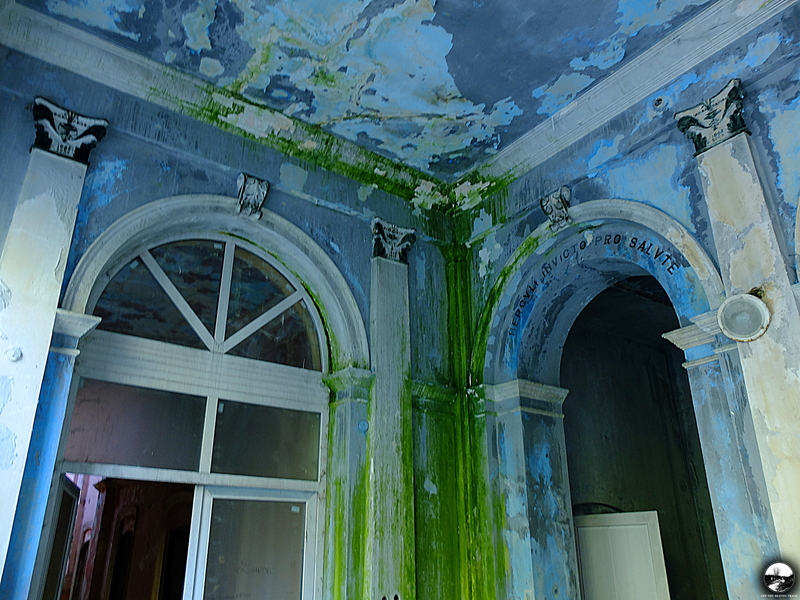 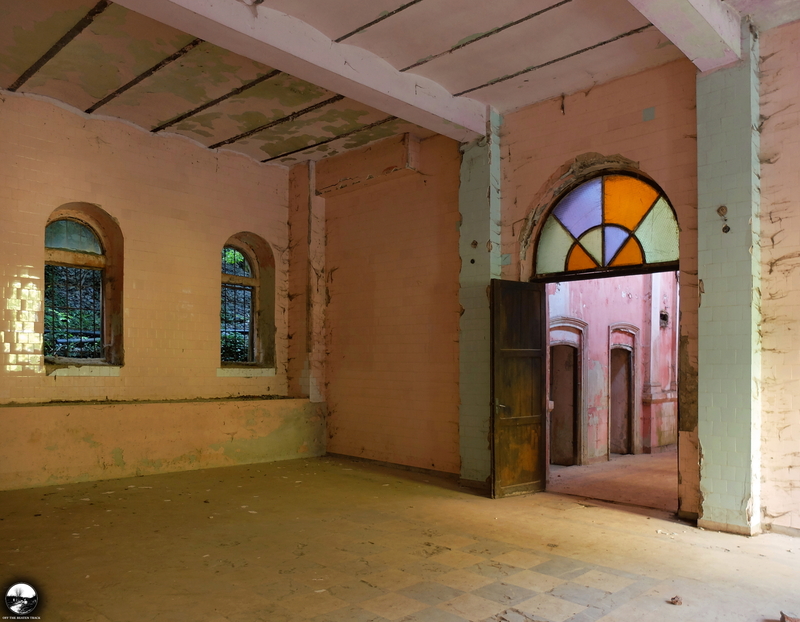 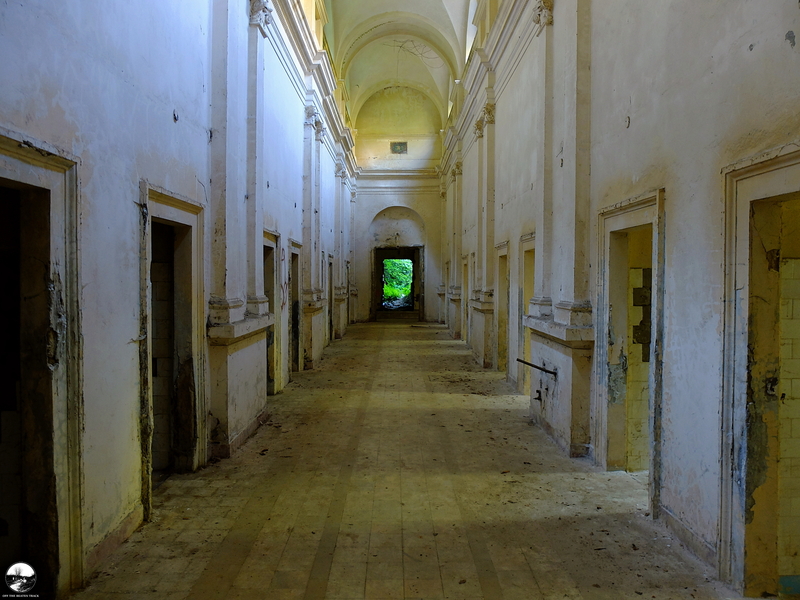 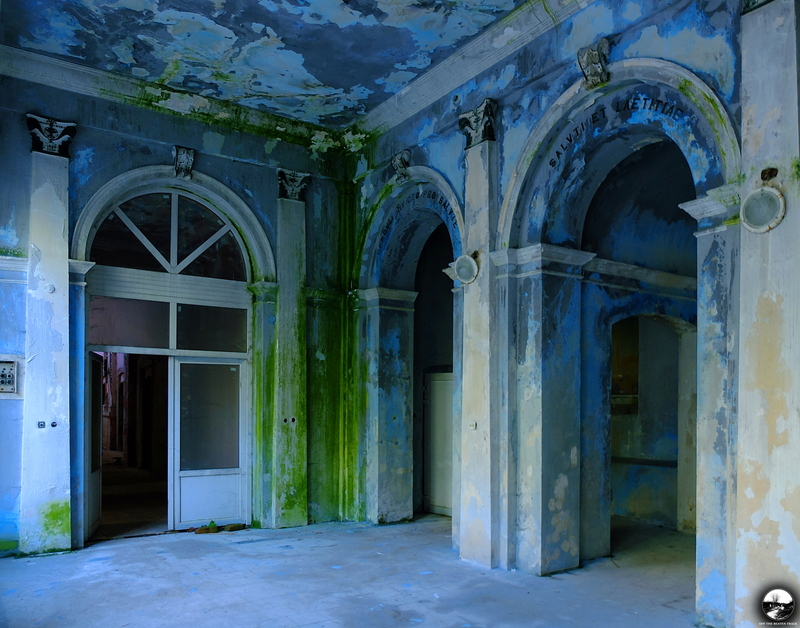 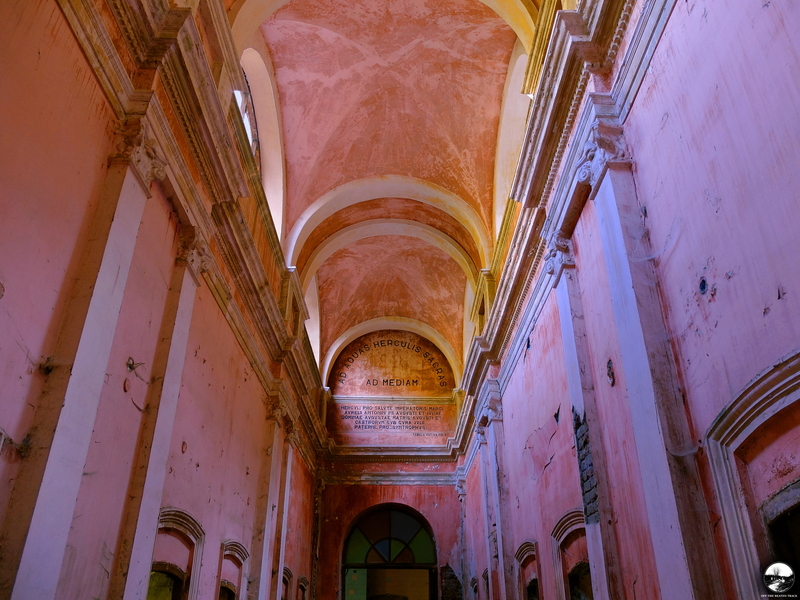 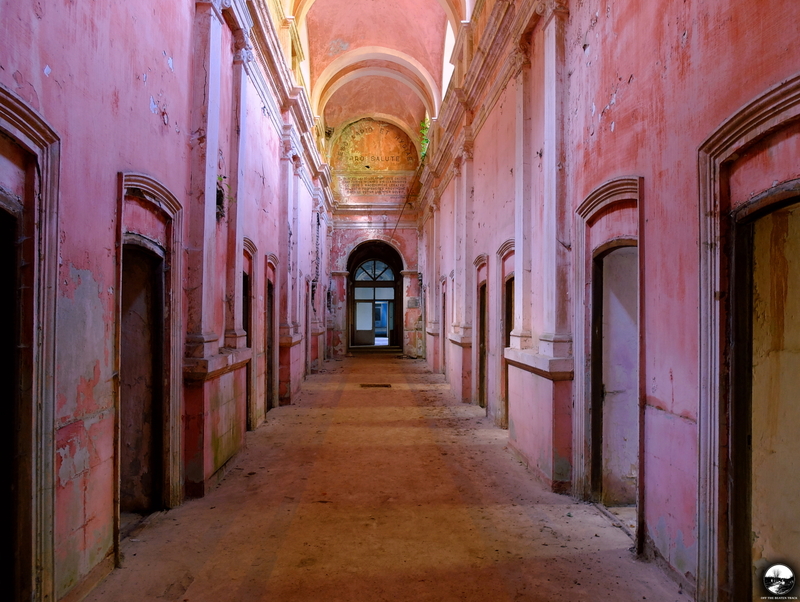 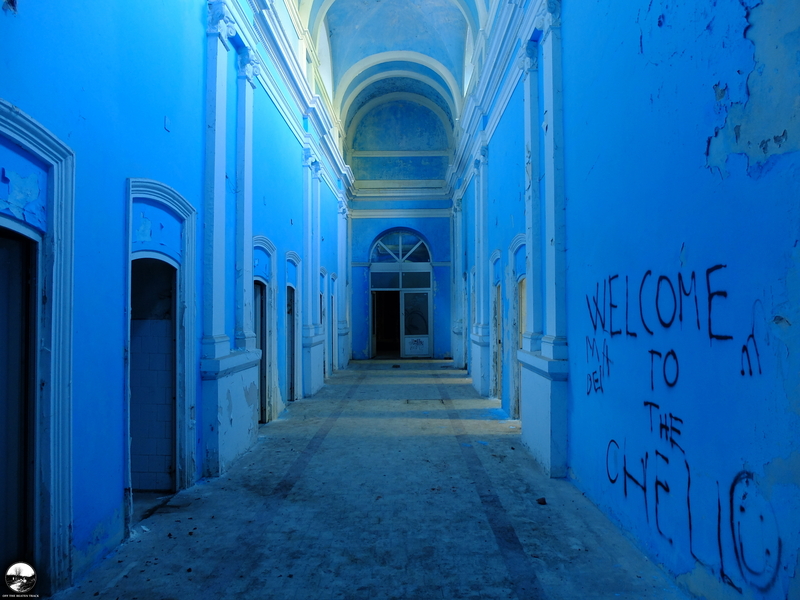 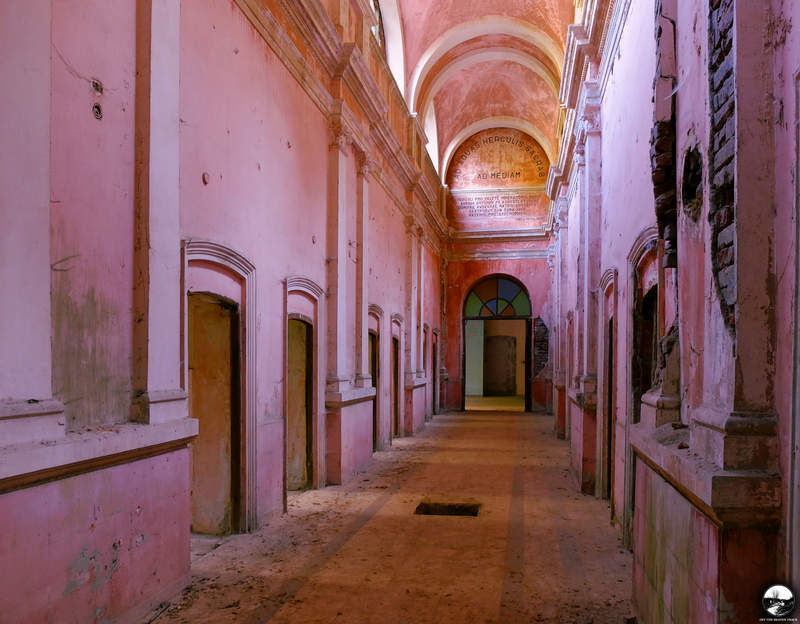 The most impressive are two taken over by decay but still bright hallways— pink and blue one , leading, in contrast, to lots of small gloomy baths. 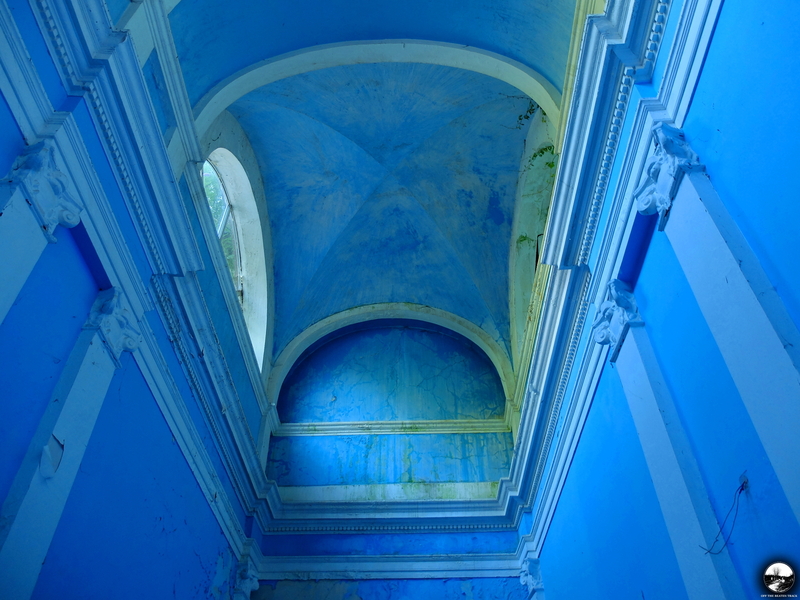 One more room—originally blue, however, time decided to change its colour a little bit. 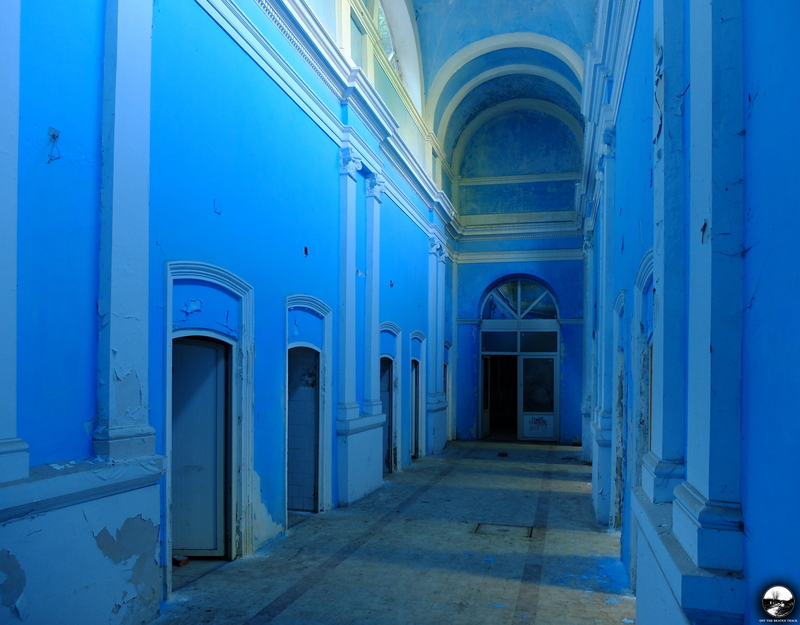 It’s also worth to mention a white hallway. 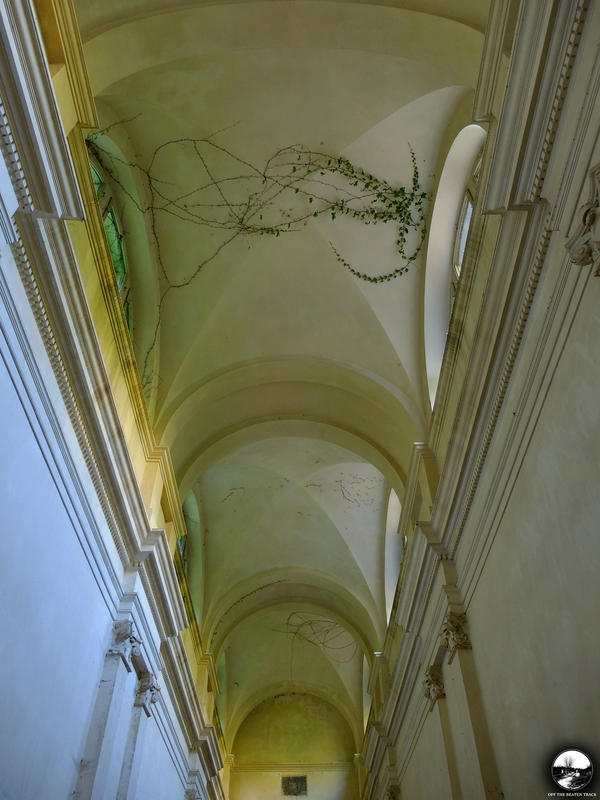 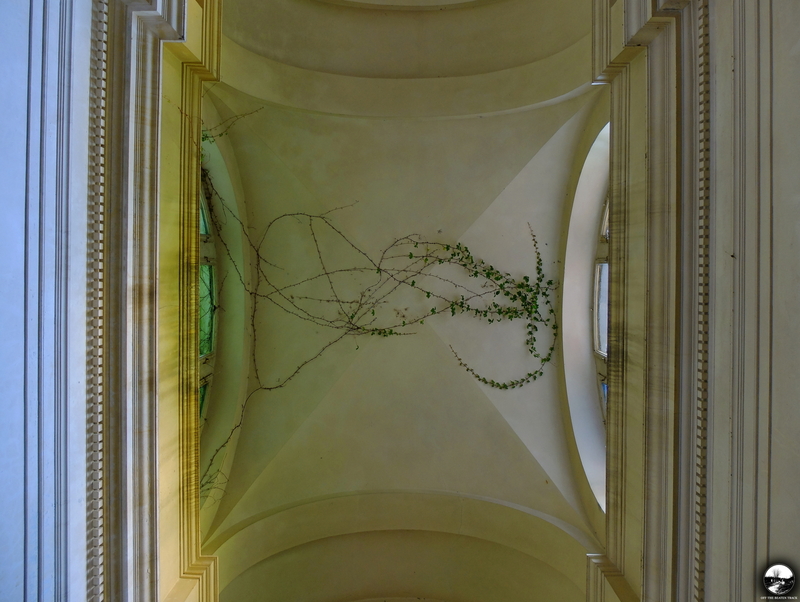 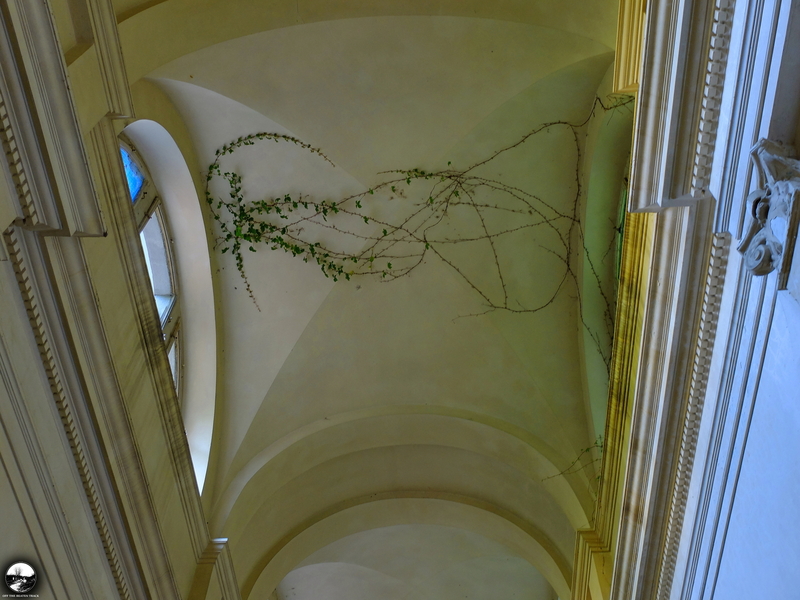 No matter that less bright than the pink and blue one, it’s been amazingly decorated with ivies, which makes you stop there and have a look up. 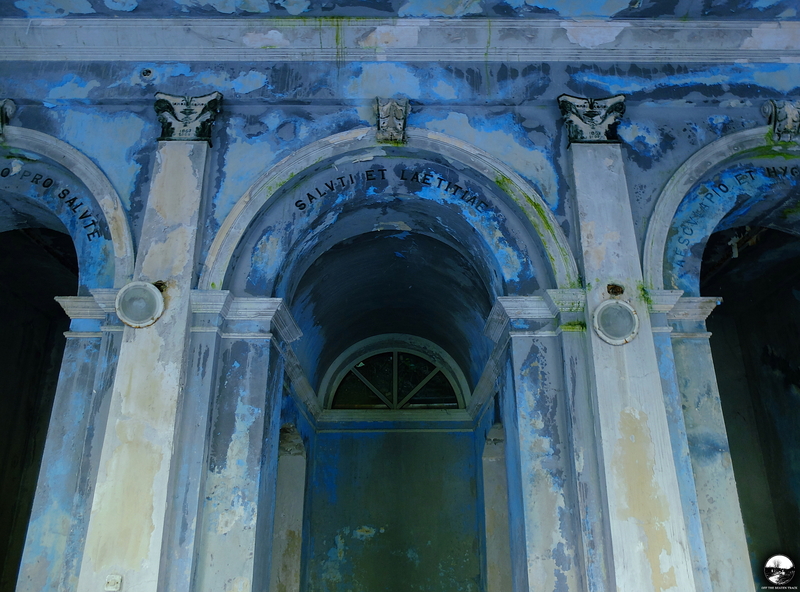 For the conclusion, a few nice details outside. 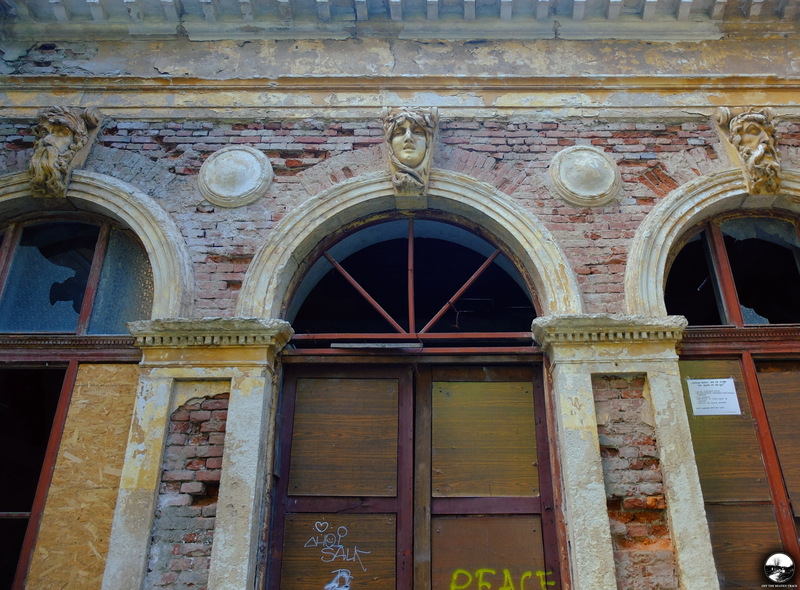 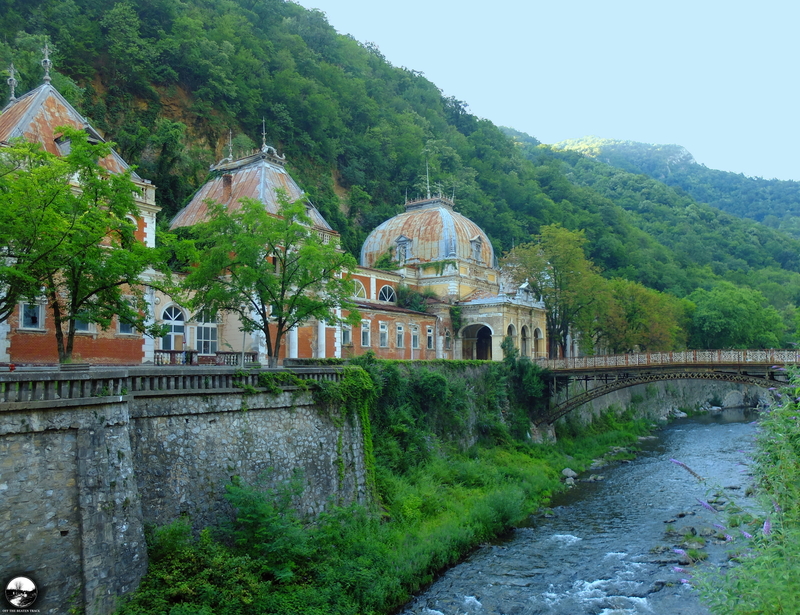 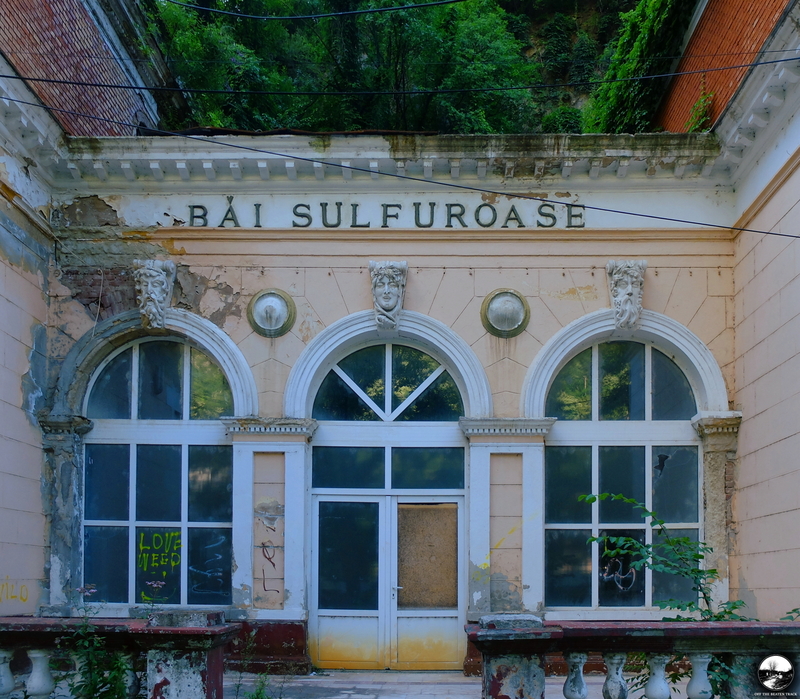 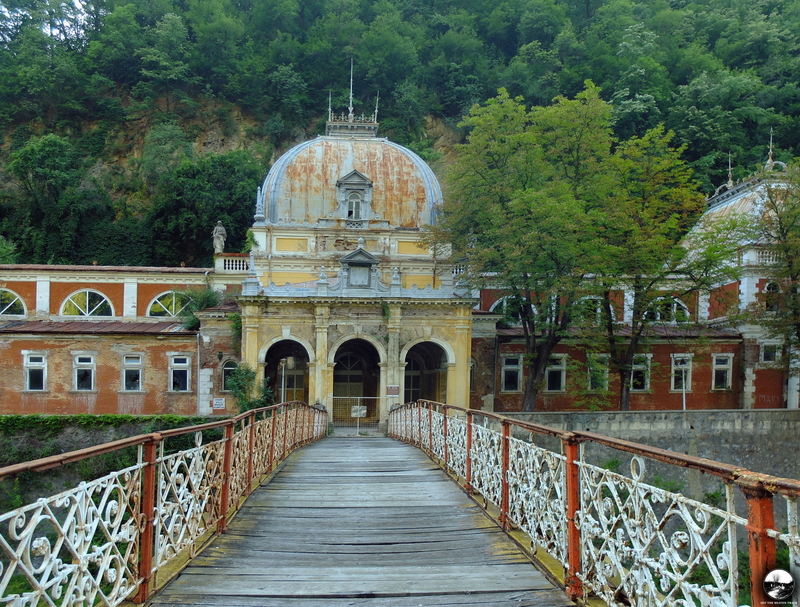 And the breathtaking exterior of the building.